It’s May, the sun is shining (well, at times) so it can only mean one thing – it’s Chelsea Flower Show time. Yes, between 23-27th of May the Royal Horticultural Society’s world-famous, floral event will open its doors for the umpteenth time to welcome visitors into the Royal Hospital in Chelsea, London to discover a catwalk of colour and creativity, the latest plant trends and the best of garden design including the spectacular show gardens. It’s a show that’s steeped in history for sure, and, in fact, the RHS held its first flower show way back in 1820. Since its first meetings in a small room off London’s Piccadilly, the RHS has grown to become the world’s largest gardening charity. Today, through its gardens (the RHS flagship garden in Wisley was acquired in 1903), its shows, scientific research and educational and community programmes, the RHS vision sets out to enrich everyone’s life through plants and make the UK a greener, healthier, happier and more beautiful place. Its goal is to instill a passion for gardens and plants, inspire the next generation of gardeners and demonstrate why gardening is good for us all. We at Bridgman don’t need any convincing – we love gardens and we are huge fans of the RHS Chelsea Flower Show. In fact, this is our 27th year at this major global garden event of the green-fingered calendar and we’re not alone. This year there will be 500 exhibitors at the show, over 200 trade stands and over 20 show gardens for you to feast your eyes on and an expected 165,000 visitors. 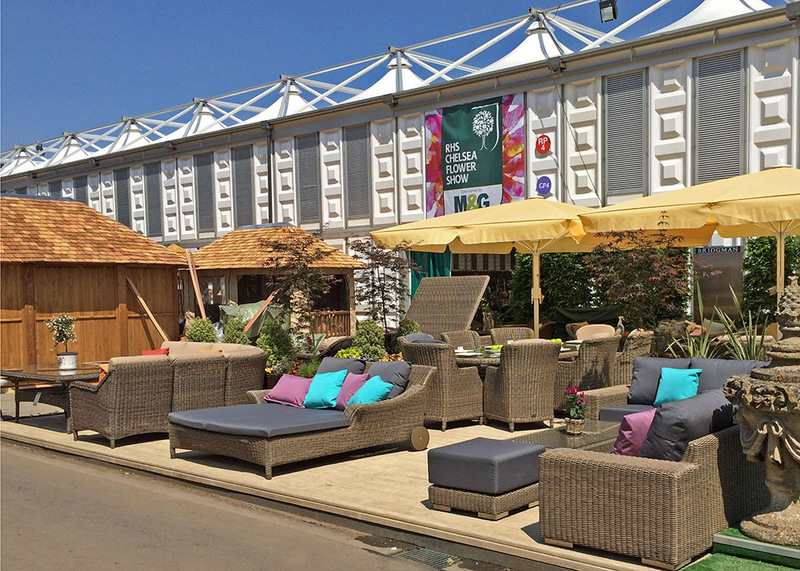 Bridgman has been part of the show since 1991, and each year our stand proudly displays a selection of our stylish, comfortable and top quality rattan furniture amid sensational surroundings. During this time, we have proudly won two certificates of merit for our beautiful woven outdoor furniture (which, incidentally, works oh so well in conservatories and indoor spaces too). This year, our stand won’t fail to wow visitors again where we will show off our collections of matching dining, lounging and modular rattan furniture – everything from sleek, modern sofas to traditional curved dining sets and adjustable sun loungers for the ultimate in relaxation – with something to suit every taste. 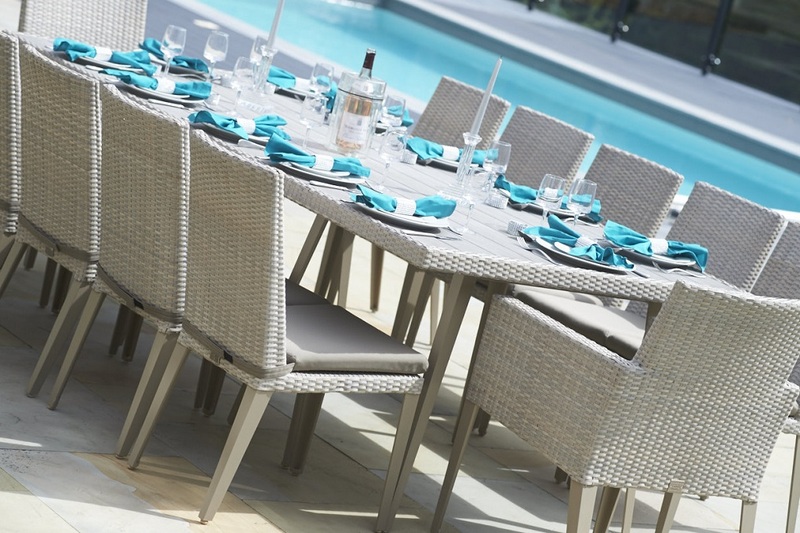 For added convenience our outdoor cushions are made from a special acrylic fabric which is 100% waterproof (and Teflon-coated for stains too) so you need never worry about leaving your cushions outside if the heavens happen to unexpectedly open. We’ve got our after-show service at the ready too and normal delivery time will be 3-5 working days following the day the order is placed at the show. And don’t forget orders over £1,500 are delivered free by our two-man delivery service which includes unpacking goods, assembly (where necessary), placing the furniture in position plus any packaging taken away. 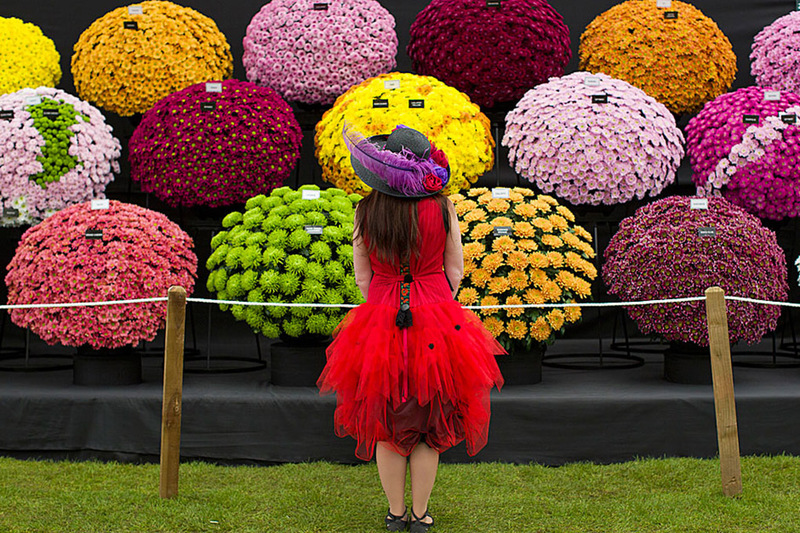 Are you attending this year’s Chelsea Flower Show? We’d love to see you at the Bridgman stand – #53.